1662: After Matthew Quinton sunk the first ship he was given to command, he is surprised when the King gives him captaincy of H.M.S. Jupiter with orders to stamp out a Scottish rebellion. This time Quinton is determined to prove his worth. In a country of divided loyalties, Charles II needs someone he can trust, and – with an elder brother deep in the King’s confidence – Matthew is one of the few eligible candidates. But now Quinton must face an unruly crew, suspicions of murder, stirrings of conspiracy and the angry seas. Will treason be found in Scotland… or is it lurking closer to home? 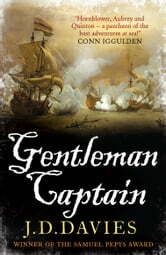 Packed with gripping naval adventure, Gentleman Captain is the first in the epic Matthew Quinton Journals. It will enthral fans of Julian Stockwin, C.S. Forester’s Hornblower and Patrick O'Brian. This book starts very slowly. There is great detail about the main character, his family, the times, etc. Thankfully the author does not waste breath on the minutiae of ship's sails, ropes, etc. as other authors of this genre do. The final third of the novel finally picks up enough that I've purchased the 2nd book in the hope that now that we are 'acquainted' with the protagonist the author will spend more time story telling and less time filling in the blanks. His afterword makes clear that he is a historian first and a novelist second. The benefit of this is historically accurate events (for the most part) to provide the background for the actions within. 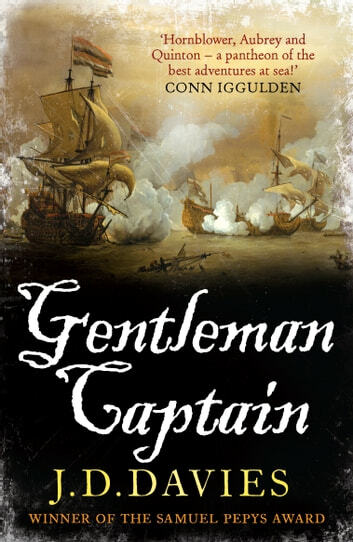 Worth a read at the current price of $0.99, but I would re-read Hornblower or Aubrey instead if you have to pay more than $2 for this ponderous (at times) read. good story slow start but written in a style which compares well with others , what made this interesting was that i had not read many sea storries about this time in our history let alone one dealing with the poor state of our navy back then. A wonderful read full of interesting facts. A must read for anyone interested in naval warfare. This is a good story with TOO MUCH DETAIL as to the historical background. The author needs to make up his mind if he is writing a history book or a historical novel. Although I liked the characters and the historical background and the story, I found it a little too slow moving for an action novel. will not buy future titles by this author.